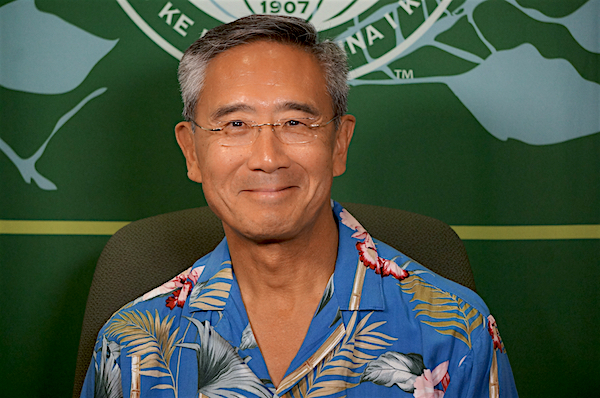 The Associate Dean for Academic Affairs, Dr. Alan Otsuki, assists the Dean in overseeing and coordinating medical education at the University of Hawaiʻi at Mānoa (UHM) John A. Burns School of Medicine (JABSOM). He is responsible for addressing strategic educational program development and alignment of educational programs. Dr. Otsuki was the Senior Associate Dean for Medical Education at the Frank H. Netter, MD School of Medicine at Quinnipiac University in North Haven, Connecticut prior to joining JABSOM. Until he interviewed for the position, he had never been to the Hawaiian Islands. He said he was drawn to our state’s multi-cultural community and the UH medical school’s strong focus on research and clinical care aimed at reducing health problems among people in Hawaiʻi and the Pacific. In 2018, Dr. Otsuki was also named the Satoru Izutsu Endowed Professor of Medical Education.